Our range of historical reproduction photographs, available to buy, these photos look fabulous in a wide variety of settings. Most of these vintage images date back to the period 1880 to 1910. 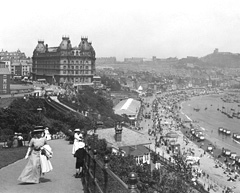 Black and White historical photograph of Scarborough South Bay and Grand Hotel. 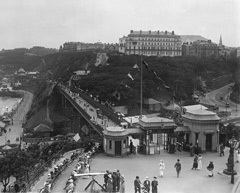 Black and White historical photograph of Scarborough Spa Bridge and South Bay. 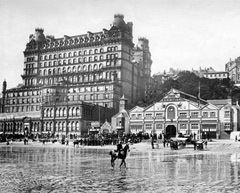 Bathing at the Spa Scarborough, Vintage Photo. 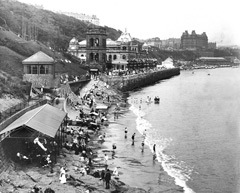 Black and White historical photograph of the Spa and bathers in Scarborough. Boats in Scarborough Harbour, Vintage Photo. 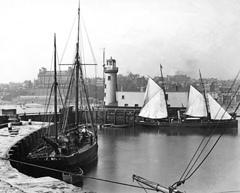 Black and White historical photograph of boats and lighthouse in Scarborough harbour. Fishing Boys in Scarborough, Vintage Photo. 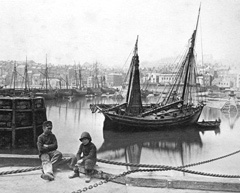 Black and White historical photograph of working boys on Scarborough Harbour. Photographer on Scarborough Beach, Vintage Photo. 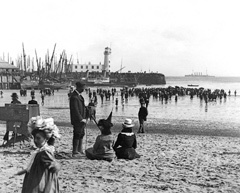 Black and White historical photograph of a portrait photographer working on South Bay beach in Scarborough. Scarborough Lighthouse and Harbour, Vintage Photo. 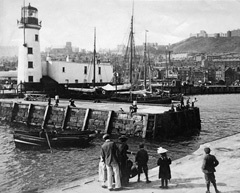 Black and White historical photograph of the lighthouse in Scarborough harbour. 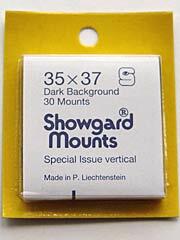 The Photos are black and white, 10" x 8" and come in a presentation wallet. They are produced using very high quality genuine Manufacturer ink and semi-gloss/satin paper which is over 200gsm thick.